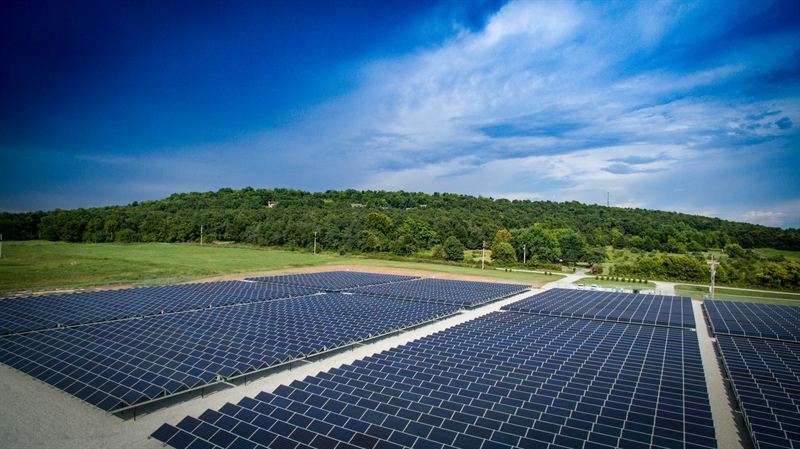 Husqvarna Group is building its first solar power generating facility at its current injection molding site in Nashville, Arkansas, USA. The new facility is expected to reduce the CO2 footprint by approximately 1,000 tons in the first year of operation and approximately 25,000 tons over the expected 25 year life of the facility. The new solar power generation plant has capacity of 1.3 megawatts (1.3 million watts) of solar power, allowing Husqvarna Group to increase its share of electricity from renewable sources of energy, and thereby reduce greenhouse gases and other emissions that incur from electricity generated by coal. The construction will begin in the third quarter of 2017, and is projected to be operational by the end of the year. The solar generating system is scalable and has the potential to be expanded in the future. Rooted in its passion for innovation and connecting people with nature, Sustainovate is Husqvarna Group’s strategic approach to integrating sustainability into its business. Founded on five key challenges - Carbon challenge, Team challenge, Supplier challenge, Safety challenge and Community challenge - Sustainovate includes ambitious group-wide targets that will drive company performance to 2020 and beyond. Husqvarna Group is a world-leading producer of outdoor power products for garden, park and forest care. Products include chainsaws, trimmers, robotic lawn mowers and ride-on lawn mowers. The Group is also the European leader in garden watering products and a world leader in cutting equipment and diamond tools for the construction and stone industries. The Group’s products and solutions are sold under brands including Husqvarna, Gardena, McCulloch, Poulan Pro, Weed Eater, Flymo, Zenoah and Diamant Boart via dealers and retailers to consumers and professionals in more than 100 countries. Net sales in 2015 amounted to SEK 36billion and the Group has more than 13,000 employees in 40 countries.